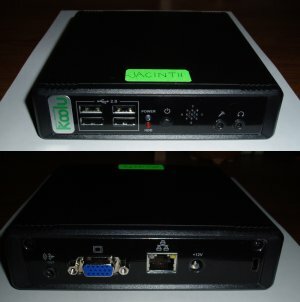 I bought my Koolu to be a home server. It is fully able to do the jobs assigned to it. I also evaluated it for a possible role at work replacing conventional desktop workstations. For many tasks it is indistinguishable from a conventional big Intel box, or has only a slight response time where the big machine responds instantly. However, there are CPU-intensive tasks which it should not be asked to do. What is a Koolu? An AMD Geode LX at 500 MHz, 512 Mb RAM, optional internal disc, 4 USB-2.0, 100 MHz Ethernet, sound. Under 10 watts. The purchase process is described. Justification for the Koolu: tree hugging. 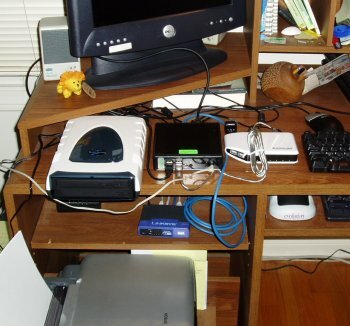 But there are other justifications that apply in contexts other than mine: major power and price constraints, the need for unobtrusiveness, and actual use of the thin client model. Functions of the New Machine: Router/firewall, VPN terminus, DHCP, DNS, Kerberos, NTP, SMTP, printing and scanning, SSH shell access, XMPP instant message server, backups, and web portal for media. 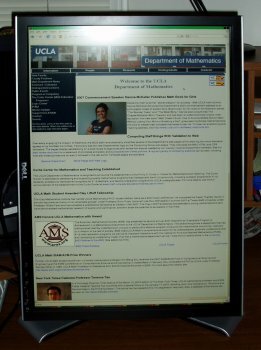 Desktop Environment Evaluation: Gnome, KDE, XFCE and Microsoft Windows XP were tested; also OpenOffice.org. All were satisfactory, excluding highly CPU intensive tasks. Details of Particular Issues: A discussion of speed benchmarks; how to speed up printing; how to configure the correct video driver; the builtin cryptographic engine; and detailed power measurements. 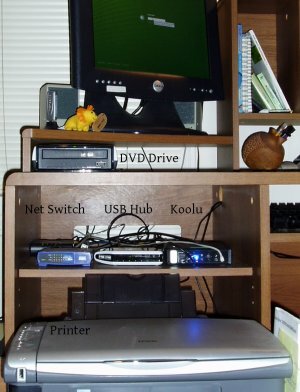 Installation Notes: physical assembly; the BIOS; choices in Linux installation; a summary of results for the server functions; and a checklist of items yet to be finished.